Last Thursday Amazon put the Kindle Paperwhite 3 on sale for $79 for one of their Black Friday deals, but at the time that was for their Special Offers version with advertisements on the lockscreen and homescreen, and typically if you don’t want to see the ads it costs an extra $20 to get the non-ad model, or you can pay $20 to remove them. The Kindle Paperwhite 3 is still on sale for $79, but they’ve seemingly sold out of all the ad-supported Wi-Fi variants, so now it’s an even better deal because you don’t have to pay extra to get rid of the ads. That makes this the best Kindle Paperwhite deal of 2018 since the other times they put it on sale for $79 (like Prime Day) that was with Special Offers attached. A $79 Paperwhite 3 without ads is a really good deal. 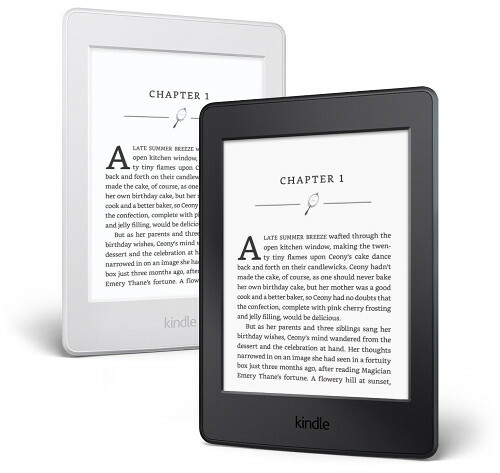 By comparison the Wi-Fi Kindle Paperwhite 4 sells for $149. Is it worth paying $70 more for waterproofing, twice as much storage space, and Bluetooth to stream Audible audiobooks? Other than that the features are mostly the same between the two models. See my Kindle Paperwhite 3 vs Kindle Paperwhite 4 comparison review for a closer look at the differences and similarities between the two. Speaking of the new Kindle Paperwhite 4, I just noticed that they’re no longer giving away 6-months of Kindle Unlimited for free with the purchase of the new Paperwhite. But on the positive side maybe that means they’ll put it on sale soon like they did in the UK without the extra offer included. If you want to get the Paperwhite 4 it might pay off to hold out until next week since Amazon has yet to offer any sales on current models all throughout Black Friday and Cyber Monday—it’s bound to happen at some point. The Paperwhite 3 clearance sale is set to expire on November 30th, or until they sellout. Great deal, i just ordered another one considering it destroys the new PW4 in clarity and Amazon will most likely never go back to a non-flush screen. Hey Nate, quick question. What was the name of the last basic non-lit reader Kobo released? Thanks..